Choose our company, Brick Certification, for superior results. 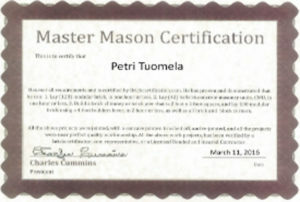 We are the authority in masonry training. Only Brick Certification offers a unique combination of convenient extensive online and classroom certifications in a trade that is one of the fastest projected growing careers through 2020. We offer an opportunity to earn great pay and have a happy, fulfilling career with a 98% success rate. We guarantee job placement assistance for all our clients. 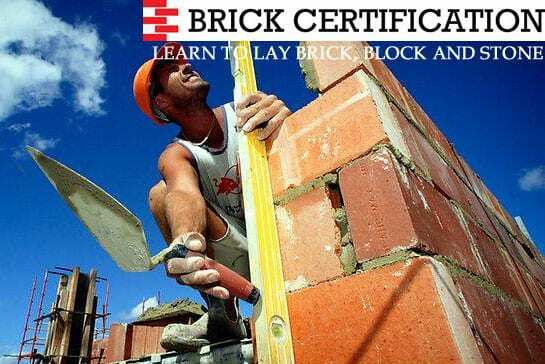 Brick Certification is the undeniable choice for convenient and extensive online certification training. We have proven, world class methodologies to our teaching. We have certified thousands of individuals such as yourself in comfortable and convenient environment. There is no question that our reach is extensive to individuals in your city, your state, the U.S., and almost every international country in the world. We offer you the convenience and flexibility to advance in your career while continuing in your current profession. Equally compelling is that you will be advancing your skills and have time to absorb the materials at a pace that works best for you. Why wait? Take action now towards a better you. Brick Certification offers masonry training courses to help get you on track for the career you want today. The future job market projection for masons is astonishing. Careers for brickmasons, block masons, and stonemasons rank in the “Top 30 Fastest Growing Jobs by 2020.” In a US Bureau of Labor Statistics projection of the 30 fastest-growing careers in the country, they project the following: Stonemasons came in at #25 and Brickmasons and Blockmasons came in at #19 with a 40.5% increase in jobs by 2020. Are you ready to become a member of one of the world’s oldest, well paid, and in-demand occupations? Isn’t it time to become brick certified?